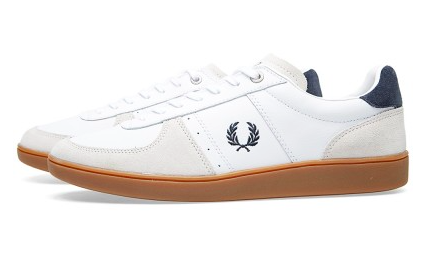 Clean and simple sporty but not necessarily made for tennis whites. 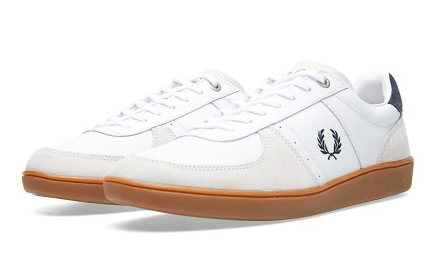 These Fred Perry Trentham Leather & Suede Sneakers are a sweet take on classic and cool. 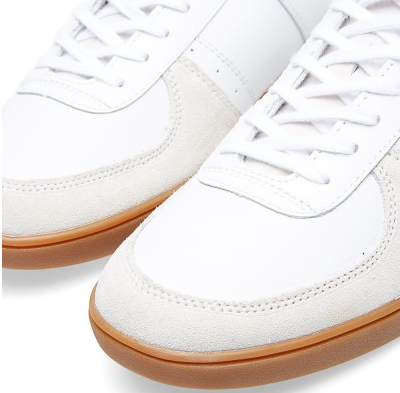 A bit part of a 70s West German military athletic sneaker and a tennis trainer, the solid gum sole of these shoes anchor the crisp two-textured upper of the white suede and leather. 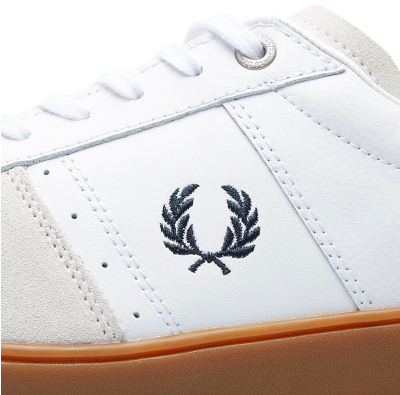 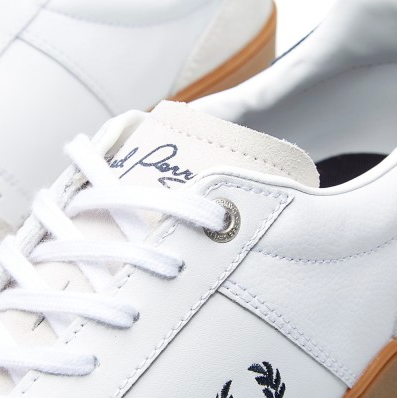 Branded with the simple laurel logo crest and "Fred Perry" script on the tongue, this shoe is a handsome and affordable one to get you through the summer and even pair with clean and crisp menswear staples for the Fall. 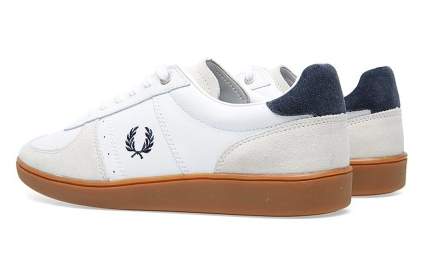 Available now at End Clothing.